You are currently browsing the tag archive for the ‘Panama’ tag. A bright yellow vest clings onto my blazer and a group of plane spotters and the airport staff stand out on the runway awaiting Copa Airlines’ arrival from Panama City with one of the most modern aircrafts in the market. “Get ready,” the airport media relations team members say, as onlookers prepare cameras to snap the moment the blue and white plane lands during a hot Thursday afternoon. The plane was rolling in as if it was a celebrity strutting down the red carpet. The airport conducted a water arch salute, where water cannons spray at the same time, creating an arch the plane passes under. The celebratory arch is done rarely at the airport, as the airport staff said it has to be a major inaugural flight or for a long-term pilot who is retiring for one of the airport’s big carriers. “It’s the beginning of a new era, introducing the first Boeing (NYSE: BA) 737 MAX9. It’s a symbol of pride for the airline, Panama and the Copa team members,” Fernando Fondevila Leyton, Copa’s regional manager for North America, told Tampa Bay Business Journal during the celebration of the plane landing in Tampa. Copa Airlines (NYSE: CPA) has been offering service to the Tampa airport since 2013 and recently the airline started increasing its service from Tampa to Panama. However, the new MAX9, 166-seat plane elevates the airline’s existing fleet with spacious and luxurious seats and technology. The business class cabin, dubbed the Business Class Dream, has lie-flat seats, 16-inch touch screens, remotes, USB ports and more space for storage. Copa also introduced a new section for the economy class that has 24 seats that offer more legroom, touch screens and USB ports as well. Additionally, its engineering is even more superb as it has a new LEAP-18 engine, which makes it 40 percent quieter and one of the most advanced in the world. This MAX9 represents a big change for the airline, which will be used on the longest routes of Copa’s network of its 80 destinations. “It actually allows us to reach other corners of the continent and continue to promote Panama as the top destination,” Leyton said. Copa will add four more MAX9 planes between October and December, eight more in 2019 and an additional nine in 2020. The total number will grow to 71 in the coming years. He said aircraft is going to also fly to San Francisco in early 2019. For more photos please see https://www.bizjournals.com/tampabay/news/2018/09/21/copa-airlines-lands-first-international-flight. Thank you to Carlos Fuentes, all of the attendees, the Pinellas Realtor Affiliates and Pinellas Realtor Organization for a great CIPS Americas course yesterday! The course was packed with a tremendous amount of useful information for anyone planning to conduct Real Estate business in Canada, Mexico, Central and South America. Carlos not only teaches the class but also adds so much personal experience. Historical and cultural influences, regional relationship, and investment opportunities were covered along with a special focus on Mexico. Please join the Pinellas International Council this Thursday for the Certified International Property Specialist course, the Americas & the International Real Estate. This informative course is being taught by Ileana Bogaert, Realtor® and the 2012-2016 National Association of Realtors President’s Liaison to Colombia. Thursday, June 1, 2017 | 8:30am – 5:00pm at Pinellas Realtor Board, 4590 Ulmerton,Road, Clearwater, Florida. This course offers you practical information on working with Caribbean, North, Central and South American investors. Historical and cultural influences, regional relationship, and investment opportunities are covered along with a special focus on Mexico. ***This course is one of the courses required to earn the prestigious Certified International Property Specialist (CIPS) designation. The CIPS Network comprises 2,500 real estate professionals from 50 countries and is the specialty membership group for global business practitioners of the National Association of Realtors®. The CIPS® designation prepares Realtors® to service the growing international market in their local community by focusing on culture, exchange rates, investment trends, and legal issues. Click here for more information about CIPS and the requirements to earn this prestigious designation. These ten cities are set for great things over the coming years, and each has something unique to offer. 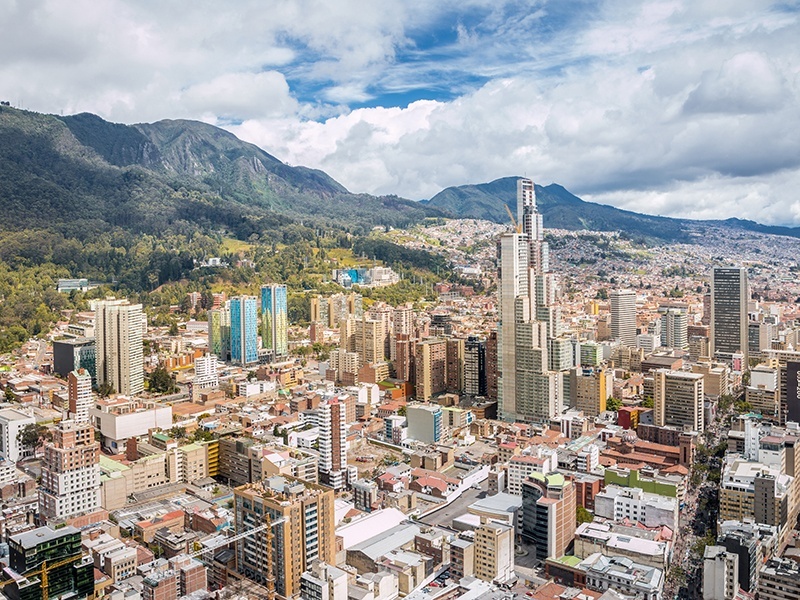 Bogotá is an upcoming international tech hub, while Panama City is a playground for the rich and famous. Vienna and Porto are cultural hotspots, and Cincinnati is a sensational place to bring up a family. Read on for more on these on-the-up locations, and a glimpse of some hot properties on the market. 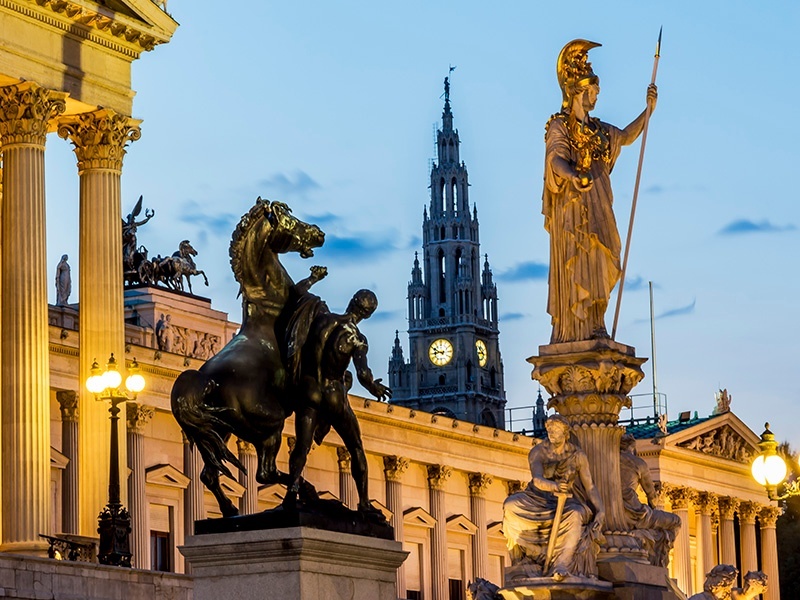 Vienna’s stunning architecture, such as its parliament building, town hall tower and statue of goddess Pallas Athene, enhances the city’s excellent quality of life. 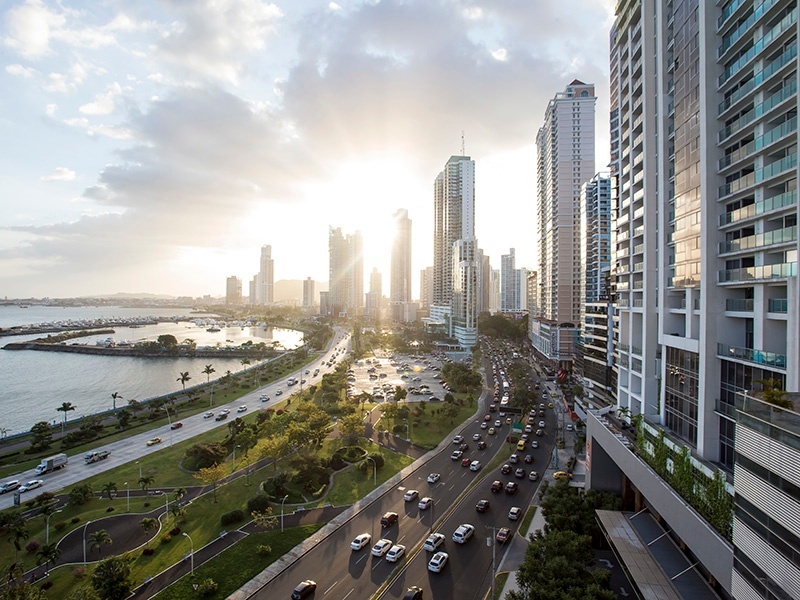 Photograph: Getty Images..
Boasting a great combination of city, beach, and rainforest in a gloriously tropical climate, Panama’s economy is booming, partly due to the recent expansion of the Panama Canal, according to Bloomberg. Its capital is also rapidly becoming a playground for the super-rich. The new Soho Panama mall brought Chanel, Versace, Burberry, and Ladurée to the city, while the Ritz-Carlton hotel opens later this year. By 2024 its impressive transport, healthcare, and tax systems are expected to attract a further 7,000 super-rich residents. Meanwhile, a new Panamanian cuisine is beginning to emerge at hotspots like Manolo Caracol and Riesen.For savvy investors looking to acquire a luxury residence in this bourgening regional economic hub, Christie’s International Real Estate affiliate Panama Premier Estates is marketing this stunning waterfront apartment, which sits proudly above Panama City. Fitted with three bedrooms and several expansive living areas, this contemporary home is ideal for those wishing to take advantage of everything this exciting city has to offer. 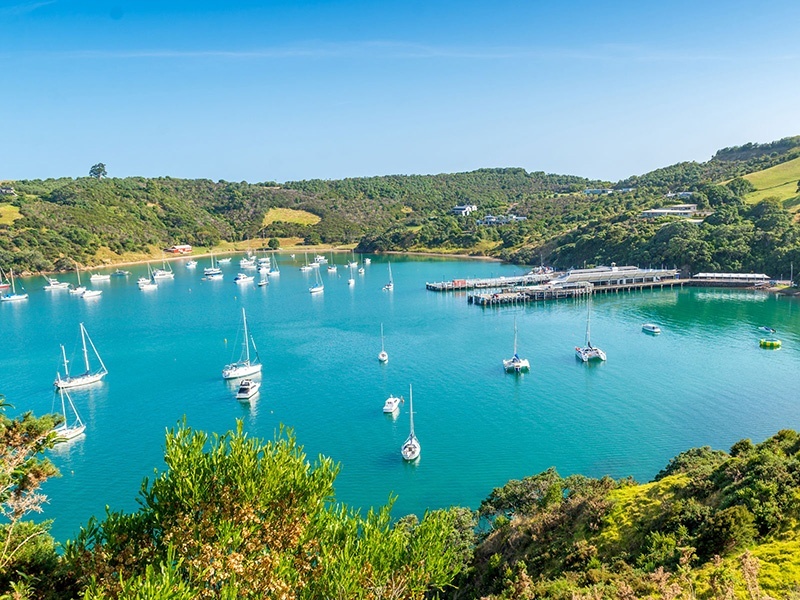 Beautiful Waiheke Island, with its pristine beaches and world-class vineyards, is just 40 minutes from Auckland City by ferry. The largest Polynesian city in the world, Auckland is a melting pot of international cultures. It also has one of the most business-friendly markets: the city accounts for 35% of New Zealand’s GDP and is growing at 2.9% annually, attracting new investment and entrepreneurs from around the globe.Auckland ranked as the world’s “hottest” market for prestige property this year in Christie’s International Real Estate’s 2016 Luxury Defined report. Strong local, expat, and overseas buyer demand fueled an incredible 63% annual increase in million-dollar-plus home sales. Its most popular areas include Waiheke Island with its vibrant arts scene; Grey Lynn, famed for its chic feel and international food; Viaduct Harbour, full of superyachts and elegant dining, and Mission Bay, which offers a relaxed beach atmosphere. 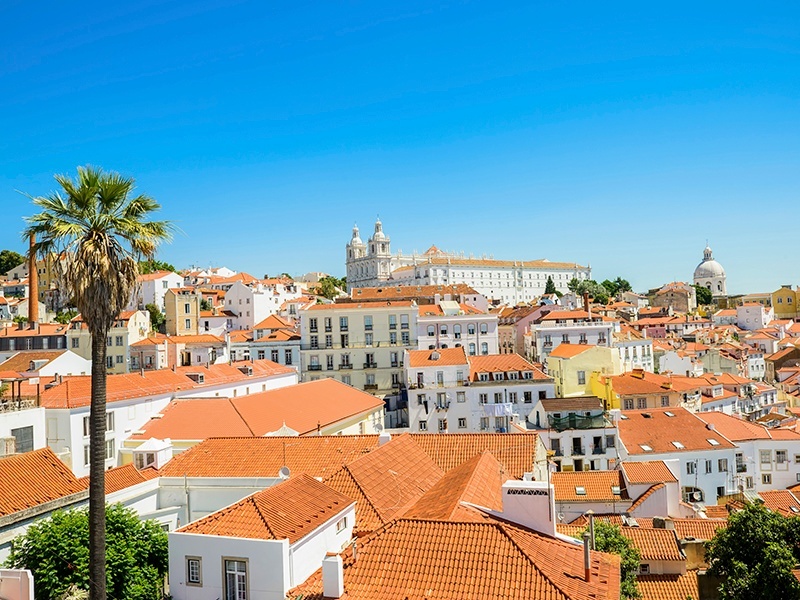 The reigning European Entrepreneurial Region of the Year, Lisbon has worked hard to support domestic business and market itself as an accommodating place for entrepreneurs since the Eurozone crisis. Startup Lisboa has helped found hundreds of businesses, with around 30% of new entrepreneurs coming from abroad. People here are warm, friendly, and laid-back but also energetic and ambitious, and more and more high-tech, tourism, and creative start-ups are appearing. The city runs on a “work hard, play hard” ethic, with its golden beaches and 250 days of sun per year offering plenty of ways to unwind. Culturally, Lisbon has a thriving arts scene, booming nightlife, and a range of fantastic restaurants.“A wonderfully good value coastal city with a relaxed vibe, beautiful beaches, a tremendous culinary scene, and terrific weather, more and more people are understanding how attractive Lisbon is,” says Julie Leonhardt LaTorre, Senior Vice President, Head of Operations, EMERIA, at Christie’s International Real Estate. 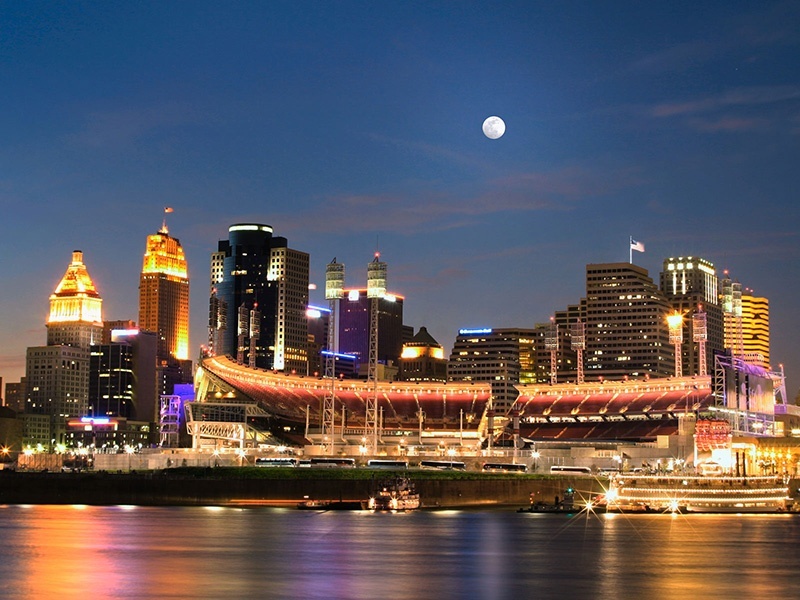 Cincinnati’s Paul Brown Stadium, which once made a top-150 list of American architecture, sits on the waterfront next to The Banks entertainment district. The Hawaiian capital of Honolulu boasts great shopping centers, restaurants, and miles of beaches, leading to it being ranked one of The 50 best places to live in America by Business Insider. 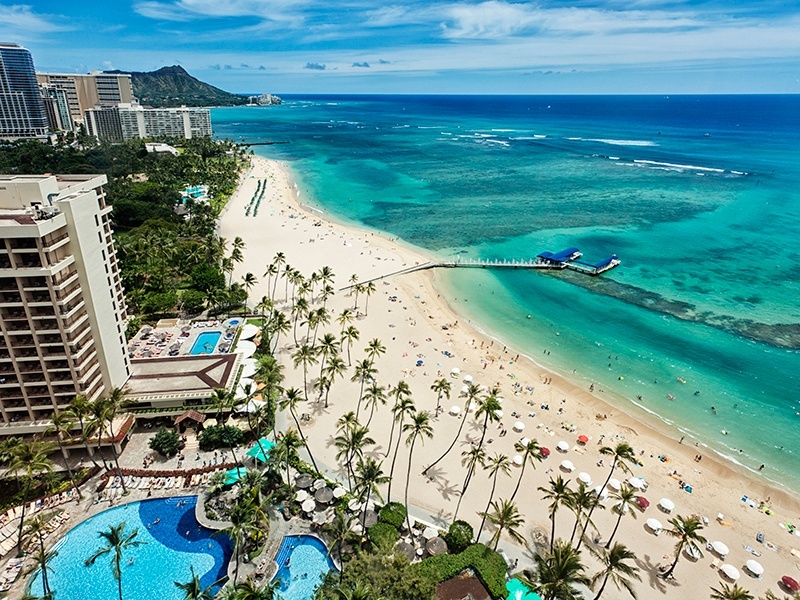 This modern Pacific city – which runs on a diet of tourism, entertainment, recreation, and exquisite scenery – also has superb air quality and low instances of cancer and heart disease.“In addition to wonderful weather all year round and beautiful natural surroundings, Honolulu is an energizing, multicultural city,” says Les Enderton, executive director of Oahu Visitors Bureau. Honolulu’s art scene has also taken off in recent times. Kahala Avenue, the most desirable street in Honolulu, is home to a wealth of luxurious homes including this modern, five-bedroom, single-level home designed by Geoffrey Lewis that features high cedar ceilings, and an open-floor plan allowing dynamic indoor–outdoor living. Currently marketed by Christie’s International Real Estate affiliate Choi International, the outdoor pool includes water features and tiki candles, and steps opposite the property lead directly to the beach. 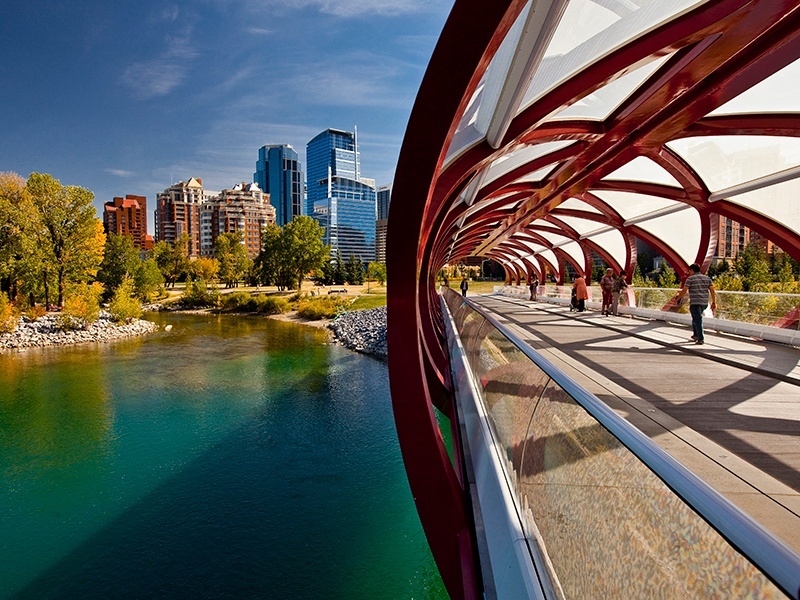 The cool, cosmopolitan Canadian city of Calgary, Alberta, regularly ranks high on global living standard lists, and for good reason: low taxes, clean air, low crime rates, and an abundance of nature – the Canadian Rockies are an hour-and-a-half away by car – making life here easy to love. New businesses spring up daily, and, compared to Toronto and Vancouver, house prices here are low: the average price of a property in Calgary in the year to August 2016 was $457,000, significantly less than many other Canadian cities.The city is not only an auspicious destination for young professionals, but also for Canada’s leading real estate market. With a secluded garden backing onto the Heritage Pointe Golf Course, this luxurious, three-bedroom residence is being marketed by Christie’s International Real Estate affiliate The Alberta Collection. Expansive windows flood the open-plan, 3,830 sq ft property with natural light, and warm wooden furnishings and stone fireplaces lend the home a sumptuously rustic feel. Named by Forbes magazine as “the next capital of cool,” Colombia’s capital is an alluring mix of business and pleasure. Boasting a beautiful historic center, a thriving luxury shopping and dining scene, and an excellent cycling network, Bogotá is simultaneously becoming South America’s newest tech hub – Google, Facebook, and Microsoft have all opened offices, while local start-ups are booming. Huge improvements to security and stability have made Bogotá more attractive to both international investors and overseas home buyers, and and has boosted quality of life immeasurably.“The attitude of people in Bogotá is very driven, entrepreneurial, family-oriented, and outdoorsy. In terms of neighborhoods, Zona G is known as the Gourmet Zone, where the high-end and up-and-coming restaurants are located. Meanwhile, Zona T (which has a T-shaped area at its center) is most recognized for exciting bars and the best nightlife,” says Rick Moeser, Christie’s International Real Estate’s Executive Director for the Southeast Region, Caribbean, and Latin America. Recently named “Europe’s most compelling new food destination” by The Wall Street Journal, Porto’s restaurant scene is catching up with its outstanding wines, and the city is quickly shedding its title of “Lisbon’s little sister.” Portuguese chefs such as Nuno Mendes in London and George Mendes (no relation) in New York, have put the country’s cuisine firmly on the global food map. 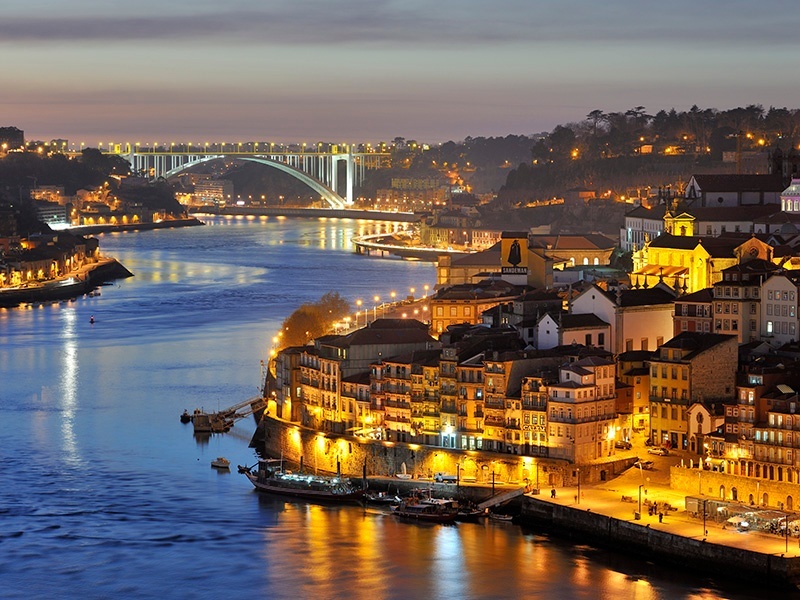 People are now flocking to sample both Porto’s cellars and dining halls, where the focus is on excellent local produce and “urbane rusticity.”Laid-back and low-key, Porto ripples with cobbled streets, Baroque churches, Art Deco architecture, food markets, jazz bars, exhibitions, and music festivals such as Primavera Sound. For those looking to embrace the region’s charms as a permanent resident or second-home owner, this traditional Portuguese quinta (“country estate”) in the Maia region just north of Porto may entice. Marketed by Christie’s International Real Estate affiliate Luximo’s, it has 10 bedrooms, eight bathrooms, a swimming pool, tennis court, and winemaking facilities attached to its own vineyard. 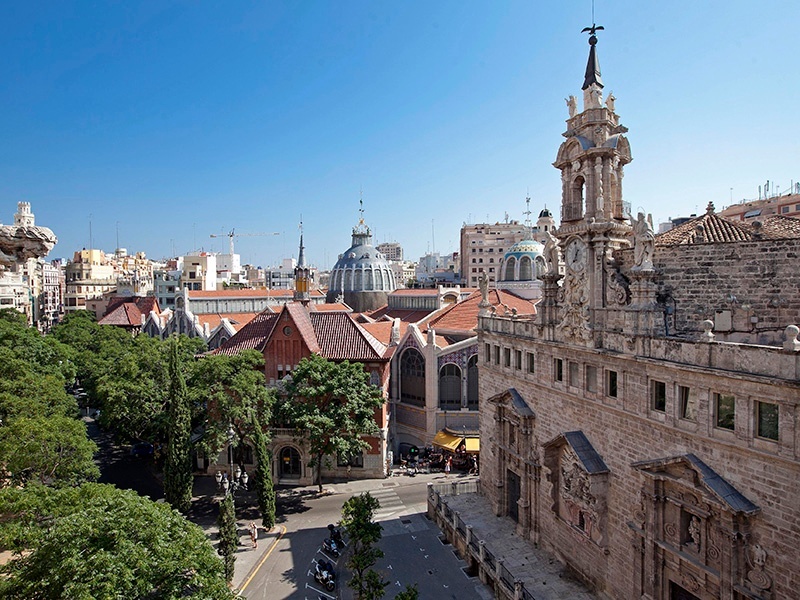 Hit hard by the 2008 property crisis, Spain’s historic city of Valencia is now overflowing with real estate bargains, luring young Spaniards from other cities as well as international young professionals keen to take advantage of the coastal city’s low cost of living, warm climate, and attractive culture. Its rich and storied history lends itself to an extraordinary mix of cultures and styles, most identifiably in the city’s architecture, which ranges from old fishermen’s cottages in the Cabañal, to ultramodern flats overlooking the City of Arts and Sciences center, and beautiful façades in Carmen old town.“Valencia is considered the most creative city in Spain. The way of life here is ideal for families due to the quantity and quality of schools – including international schools – and the many leisure opportunities,” says Francisco Ballester of Rimontgó, Christie’s International Real Estate’s affiliate in Valencia, Spain. The city ranked as the world’s top “comeback” property market in the 2016 Christie’s International Real Estate Luxury Defined report, and posted an incredible 89% annual increase in luxury home sales. Thanks to a weak euro, property prices below the 2007 peak, and a surge in overseas visitors, Valencia’s luxury housing market is likely to continue on its upward trajectory. What do you do for health insurance if you retire abroad at age 65 or older? Some U.S. expats are relying on their Medicare coverage. But this only pays for medical care performed in the U.S. Why not use your Medicare as part of a three-pronged health-insurance strategy that also includes local health care and a medical evacuation policy for emergencies? and the Caribbean—or worldwide. Mexico is one of many low-cost destinations where you can get health care. Medevac insurance, as it’s commonly called, generally runs about $250 a year for an individual and about $350 a year for a couple or family, though it can cost even less. Medevac insurance won’t work in all cases, however. Review medevac companies’ guidelines carefully before buying a policy to make sure it will meet your needs. And look closely at your own situation. Will Medevac Insurance Work for You? 􀀌Snowbirds or others who live abroad only part-time. Maintaining a U.S. address and medical records help make the argument for evacuating you back to the U.S.
􀀌Those living abroad in an area that has no first-rate hospital nearby. 􀀌Those with a known health condition that can require specialized care. Here are a few companies that offer medical evacuation insurance. 􀀌MASA Assist (see: Masaassist.com). Texas-based MASA Assist has been offering medevac insurance for more than 30 years. Annual “memberships” are $240 for individuals and $360 for families, plus a one-time $60 sign-up fee. MASA also has branch offices throughout the Caribbean. 􀀌Emergency Assistance Plus (see: EmergencyAssistancePlus.com). This company states upfront that it only authorizes medical evacuation if your current hospital does not have adequate equipment for treating you. However, if you have only a small hospital near you, this plan could work—and the price is right: $129 a year for one person, and $149 a year for you and your family. options that include emergency medical evacuation. Though designed more for overseas travel than for residence, one plan is valid for travel of up to one year. 􀀌MEDEX (see:Medexassist.com) offers two medical-insurance plans for travelers that include emergency evacuation. One policy allows overseas stays of up to 365 days. In addition, in some countries you may be able to sign up for their low-cost nationalized health care plan, despite your age. Mexico, for instance, allows expats with residence visas to sign up for its nationalized plan, and there is no age limit—though the plan won’t cover most pre-existing conditions. Still, a nationalized plan can be a very low-cost way to cover basic health maintenance. For major medical surgeries or serious illnesses you have Medicare, which you’ve already been paying into during your working years in the U.S. But you must return to the U.S. to use it. That’s not a problem for non-urgent procedures like knee surgery. You can just arrange to have the surgery during a regular trip home to the States. But heart surgeries, serious accidents and illnesses aren’t planned. That’s where medical-evacuation insurance can be handy. It allows you to be evacuated back to your home country (usually by airplane or helicopter) if you have a medical emergency. Panama-The mountain village of Boquete offers something close to heaven for American retirees. The mountain village of Boquete offers something close to heaven for American retirees. Jason Varney, From left: The Caldera River that flows through Boquete; a typical bedroom in Ville Escondito, a gated community in Boquete. Panama is a smart choice for retirees who want it all—in a country that really wants them. Not only does it feature attractive retirement destinations—sleek capital city, hot beach towns, cool mountain villages—but it also offers an unbeatable package of retiree benefits and discounts (and a currency tied to the U.S. dollar). Little wonder there has been a steady influx of expats in the past few years. 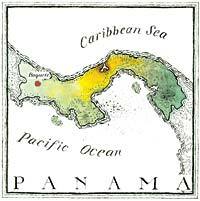 Many retirees have settled in Panama City, a fast-paced financial hub with a Latin/Miami vibe. Others have gravitated to the Pacific Coast towns west of Coronado and the Panamanian version of Key West, hip and laid-back Bocas del Toro on the Caribbean Coast. 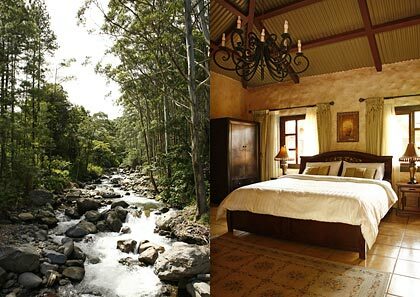 But if you want a temperate highlands retreat surrounded by unmatched natural splendor, the mountain town of Boquete, an hour’s flight from Panama City, is close to heaven. Here expats settle amid rain forests, coffee plantations, burbling streams, and hummingbirds hovering over dazzling flowers. Temperate with two distinct seasons, wet (April to November) and dry (December to March). Much cooler than the lowlands and beaches. One can live comfortably on $20,000 a year. Domestic and garden help: about $15 daily. Dinner out: $30 for two. In Boquete, a small house goes for $175,000; in a gated community, $250,000 and up. Rentals: about $600 a month for a two-bedroom house. Good, with private clinics available. For serious medical matters, residents travel to hospitals in David, 45 minutes away, or to Panama City. Hospital Punta Pacifica in Panama City is affiliated with Johns Hopkins Medicine International and has U.S- trained doctors. Rain-forest hiking, river rafting, bird-watching, and coffee-plantation tours. Fair. A one-hour flight to Panama City, then a three-hour flight to Miami.